In the act of giving themselves to each other and accepting each other in marriage, the couple are joined by a bond that should never be broken. When both parties are baptized, the marriage is a sacrament which no power on earth can divide. 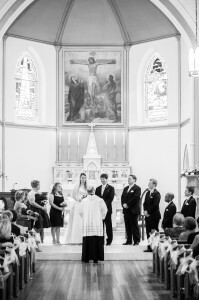 Because of the profound effects and value of marriage the church requests that a couple begin their preparation at least six months prior to the date of the wedding. 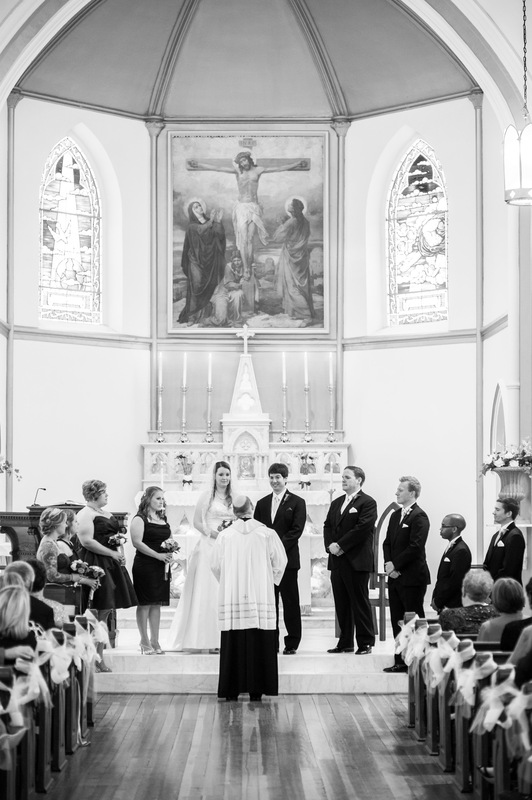 Marriage preparation begins with an initial meeting with the priest or deacon. After the initial meeting, the couple is asked to attend a marriage preparation session. There are a variery of options to fit your situation. They will also begin to work with our Wedding Coordinator, Michelle Dawson, to plan the details of the wedding ceremony. The Catholic parties will need to acquire new copies of their baptismal certificates. When you contact the church of your baptism, inform them you are preparing to marry. They will know what to send. If either party has been previously married, this marriage must be completely resolved before a date can be set for the wedding. For parishioners, there is no fee for the use of the church, since as members of the parish we assume that you contribute regularly to the ministry of the parish, and we thank you for that contribution. We request only a donation of $300 which helps defray some of the costs to the parish and includes the services of the wedding coordinator. For non-parishioners, in addition to the $300 dollars above, we ask for an additional donation of $300, which helps to maintain our beautiful historic church. If you have read all of the above, accept the Catholic Church’s teaching on marriage and are interested in setting up an appointment to begin the process, please take a moment to complete and submit the initial questionnaire. Please be aware that 2 PM on Saturday is the latest we celebrate weddings at St. Patrick. Here is a video from Busted Halo with some common questions answered by Fr. Steven Bell. If you are interested in getting married at our Church, please complete the Initial Questionnaire.